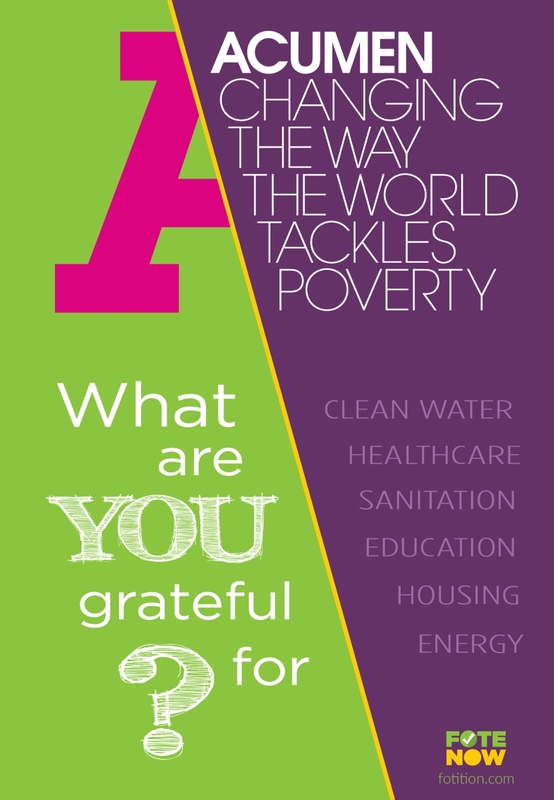 Post a photo of yourself and select the overlay for what you are grateful for and we'll give $25 to support Acumen. A $25 donation will be made to Acumen on your behalf. All donations for this campaign are being provided by a generous Silicon Valley philanthropist (AKA: Blake and Chad’s Mom). 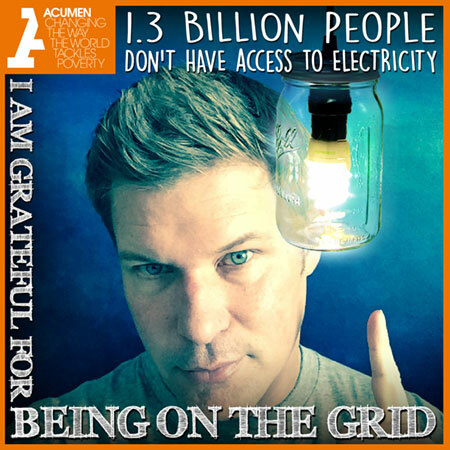 100% of the money raised by this campaign will be used by Acumen to invest in early-stage social enterprises providing people living in low-income communities access to healthcare, water, housing, alternative energy, or agricultural inputs. This is a great way to Kick Off the New Year by using your social reach for social good!